With his repertoire mixed with xotes, xaxados , such as Luiz Gonzaga, Dominguinhos, Jackson do Pandeiro, Trio Nordestino, Genival Lacerda and Marinês, mixed with bands from the new generation (Maracatus, baião and other rhythms related to this theme). Forróçacana, Foot Bug, Falamansa, Sana Root, Dona Zefa Trio, etc). In his long career, he has already performed in the most diverse venues, parties and big events in Rio de Janeiro, São Paulo, Minas Gerais and Bahia, sharing the stage with relevant national music names such as Elba Ramalho, Zé Ramalho, Alceu Valença, Moraes Moreira, Dominguinhos, Zeca Pagodinho, Jorge Ben Jor, Lulu Santos, O Rappa, Lenine, Zeca Baleiro, Luiz Melodia, Seu Jorge, Natiruts, Point of Balance, among others. To celebrate its 16 year career, it performed at the end of 2015 a 40-day European season with 20 presentations in 6 countries (Italy, Switzerland, Germany, France, England and Portugal). The success and the invitations were so many, that returned in 2016 for another tour, a fact that will occur again in 2017, in which will participate in the main festivals of Forró Pé de Serra of the “Old Continent” in the months of May and June. 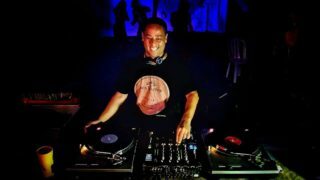 He is currently resident DJ of Forrózada Festival, Forró de Quinta (Thursdays), Roda de Forró (Sundays) and participates in various events and festivals throughout the year. do Forró Pé de Serra!! !